The first Nokia Lumia 1020 customers, who've pre-ordered the smartphone, have started to receive their units today. The Lumia 1020 turned out to be extremely popular for the carrier, which sold out all available unitsin the second day of its pre-order campaign. While the WP8 cameraphone is exclusively sold by AT&T in the US, people living in Europe have a wider choice of carriers. In Germany, Vodafone will give you the Lumia 1020 only for €29.90 if you opt for a two-year contract with a €70/month tariff (calls and data). T-Mobile's cheapest offer, on the other hand, has the Lumia 1020 listed at €149.90 with a 2-year contract and €80/month plan. Pricing in the rest of the EU should be pretty similar. 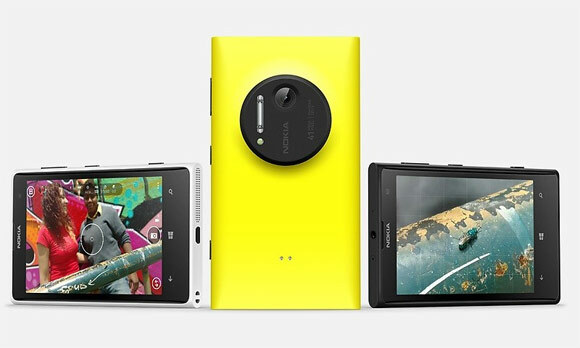 The Nokia Lumia 1020 will go on sale in Europe in September though, so you will have to be patient. Most of the reviewers if not all don't install a bunch of apps on the Android phones before reviewing the phone so they can claim smooth. Once you installed some, Android goes down hill from there with stability and battery issues.